I arrived at D's house on an uncharacteristically chilly Texas spring morning to document her family getting ready for her adoption proceedings. The love in the house could be felt immediately, and it was obvious that her family never experiences a dull moment. I took my first shots as D's dad pulled up a cheat sheet on tie knots while he helped his son with his neckwear. I had the honor of documenting a very special day this month. 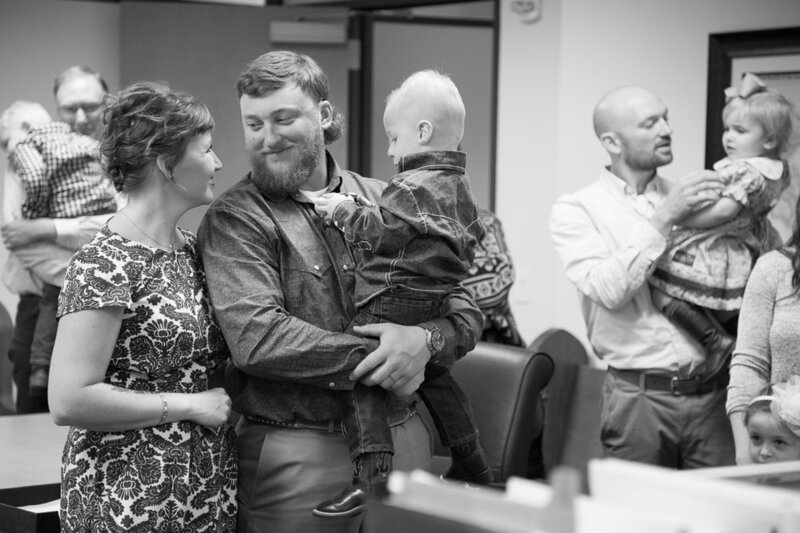 L was surrounded by joyful and excited family on his adoption day. After undergoing the organized chaos of the courthouse security line, we all rode a crowded elevator way up to the penultimate story of the courthouse to wait for the proceeding. The docket was quite full that day, and family waited while enjoying one another's company in cheerful anticipation. When it was finally time for the proceeding, the mood quickly turned from eager to elated!